Should I hire Welch to photograph my wedding? Should I hire Welch to video my wedding? Should I hire Welch for both Photography & Video? How do you handle posed photos, and can I request you take certain photos? Do you edit the photos? Do I get a print release with the files? When should I book my wedding photography/video coverage? Do I need to give you a list of photos that I want? How much time will we need on my wedding day to get the photos I want? Should I get the RAW footage of my wedding video? Do you offer different options than those listed in the pricelist to customize a package for us? Are there any discounts available for your wedding packages? Can you work with our budget? A. Our photography style is to document your wedding experience, looking to capture the special moments in natural and spontaneous images. We also look to get unique portraits of you and your fiance/spouse. We try to avoid cliche or staged photos. Our goal with your portraits are fun, romantic images of you together, with strong composition yet playful poses without gimmicks. Of course, we strive to make you look your very best. Q. What is your videography style? A. Your wedding video allows you to relive your wedding day and remember the love shared with your family and friends. With multiple video cameras, we are able to capture all the special moments of your ceremony and reception. Your video is edited for the maximum coverage of your wedding in a style that will allow you to enjoy your special day again and share it with future generations of your family. Q. Should I hire Welch to photograph my wedding? A. Good wedding photos are images so strong, you remember them because they truly captured the spirit of the people and the moment. Your wedding is a very special and personal day for you and your family/friends. The memories of this day will last for generations, and the photographs we strive to create will bring those memories back every time you look at them. If you want photos that reflect who you are at this time and on this day, natural photos that aren’t contrived but capture just who you are and the specialness of the moment, then Robert and Lisa Welch may be just the photographers you are looking for. We don’t interfere with your day. We try to not make you aware we are there unless it’s important for us to direct you for a particular photo, and we are experienced enough to know when that is required. We know what photos to be sure to get, so it’s not necessary for you to tell us what to do, but we will listen when you do have a special photo you want us to get. When it is time to take formal portraits, we do so efficiently to create photos that are well crafted with the skill of photographers with years of experience. We will not require a lot of your time away from the rest of your day. This is your day, and we seek to document it in a way reflective of it’s uniqueness. Q. Should I hire Welch to video my wedding? A. Video is a much different experience than photos, with video we really capture people alive, not just a moment but rather who they are in motion and animated. We realize that video is often one of the last budget items. We feel photographs have a more immediate satisfaction, particularly right after the wedding, when memories are fresh. However, appreciation for the video comes more over time, as you get further away from the wedding the video gains in value. When you have children it increases more in importance for them, as family pass away over the decades, memories begin to fade. It is for truly preserving the occasion in it’s totality that video of your wedding really becomes a treasure over time. We understand this, and it is our guiding focus on producing our documentary style of wedding videos. We look to capture the really important parts of your wedding and including as many of the important people as possible. 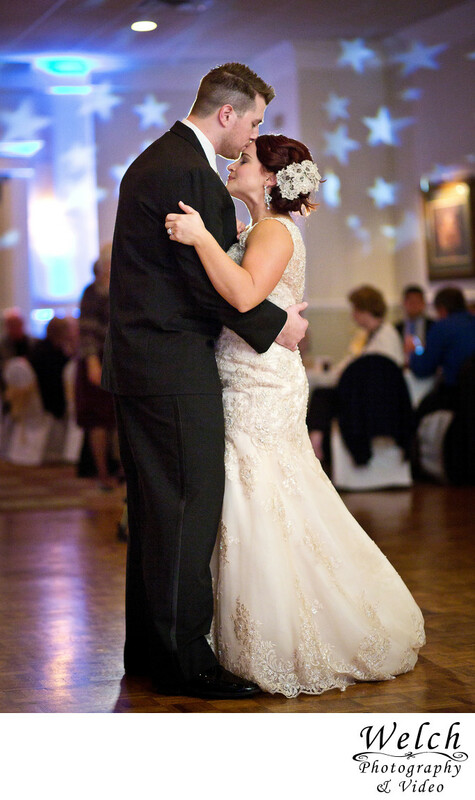 Our goal is to not miss anything in your wedding video that you might later want to look back on and reminisce upon. What we won’t do is impose ourselves on your enjoyment of the occasion. As much as possible, we try to stay back and out of the way, while looking to keep our cameras focused on the action. By using multiple cameras, we are able to accomplish the documenting of your wedding without interfering with the activities. Video isn’t for all weddings, for very crowded situations it can be a challenge to properly document the occasion. Or for weddings that lack much activities, like a sit down dinner affair, there may not be enough action to make video truly worthwhile. However, for many weddings, it can be a tremendous way to remember those special speeches given by close family, or that intimate moment you had dancing with your husband for the first time. Those moments will pass into lost memories unless you have the record of them that video gives you. Q. Should I hire Welch for both Photography & Video? A. We are glad to work with other professionals, either photographers or videographers. If you already have someone special in mind for one and would like to hire us for the other, then we will be glad to help you. We have worked with many of the best photographers and videographers in the greater New Orleans area, and are always glad to do so. Be aware, that if we are working with a less experienced photographer/videographer, then it may be more difficult for us to do our job the best we can. Covering weddings is something that requires a lot of anticipation and understanding of what will likely happen next and what to do in given situations. We can do our best work when others who are also working understand the circumstances as well as we do. For that reason, the optimal way to get the best of photography and video coverage is to hire Robert & Lisa Welch to help you with both. We have a style of team work that has come from hundreds of weddings we’ve done together, so our ability to fully cover weddings when we work together is ideal. Q. How do you handle posed photos, and can I request you take certain photos? A. 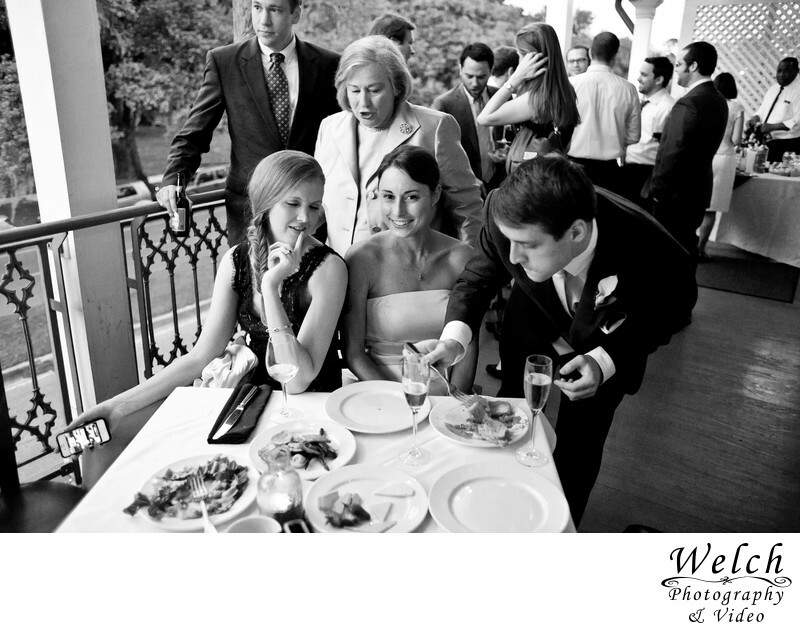 We don’t usually need to spend a great deal of time on the posed family & bridal party photos. Most people are wanting to get on to the reception at that time. It’s hard to keep everyone’s attention for a long time, so we work very efficiently and generally just do straight forward photos of whomever you want in your family/bridal party group shots. We’ll make sure everyone is visible, and the composition is good, then take several shots to make sure we get everyone looking at the camera with eyes open. Then if you want to take a ‘fun’ shot we can do that last, which we want to be spontaneous and playful. We do like to take more variety of shots of the bride & groom, we can do that last so everyone else has a chance to go and relax, get something to drink, eat, whatever they need. While they are doing that, we can get the extra photos of the bride and groom. Of course, whomever you want extra photos with we can do, it’s up to you though. Just remember that nobody has eaten and everyone has their mind on getting to the reception at that point, so we always try to be considerate of that. There is no limit to what we can do, but the timeline does mean that if we spend a lot of time taking photos, it delays the start of the reception and shortens the time for the reception. That is all up to you. Our order is usually to start with the bridesmaids (all photos with bride & groom), add the groomsmen, then with just the groomsmen, then each family according to who you want in each family photo (bride’s side and groom’s side, and together if you want). We can usually do all of those photos in about 10-15 minutes at most. In addition to the pre-reception photos, we can do some extra photos with the bride and groom, after you’ve had your first dance, eaten, had some time to mingle and enjoy the reception awhile. Sometimes, a bride and groom will want to take a few extra photos together a little before the end of the reception. It’s not easy to get other people together for a lot of extra photos at that time so it’s best to get all those done before the reception. However, if the bride and groom want to spend more time getting some ‘fun’ photos later during the reception, we can go to an appropriate place do that and don’t need to take a lot of time away from the reception. One more thing about posed ‘fun’ photos, we really like to get natural, playful type photos (besides the traditional posed photos). But if we have too many ideas of exact photos to take, like maybe trying to copy a lot of photos you’ve seen on the internet (Pintrest, for example), then the photos can get very stiff and staged, and are no longer a reflection of you. At that point, they look as good as the spontaneous, relaxed photos that we are looking to capture. In other words, too much planning for these photos can actually make them not as good as they can be. We like to be creative and unique, fun and playful, not staged and contrived. If we over think these photos, then it’s never as good as it can be. Let us know your thoughts, if you have any other ideas or questions on any of this. Q. Do you edit the photos? Do I get a print release with the files? A. All photos are adjusted for color corrections, meaning they will have reasonable and proper skin tones and good exposure. Additional retouching is available for images that are printed in albums or reprints. For printed photos, light retouching is included for minor blemishes, etc. Major editing, including head swaps, background changes, etc., may incur additional costs. In all cases, any retouching need to be requested, and if additional costs are incurred you will be informed with an estimate of cost. No digital files will have retouching included, this service would be an additional fee for digital file delivery. 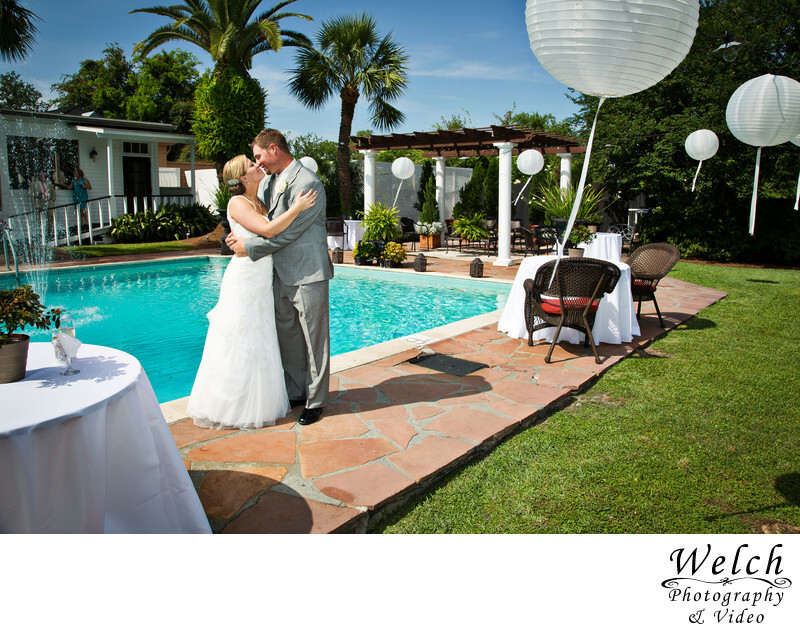 The digital files of all the wedding day photos are included with all the packages. That means you get full permission to make prints and share the photos for private, non-commercial use. Usage rights for public, commercial purposes, including contest entry is reserved by Welch Photography & Video, and allowed only by written permission for each specific use. Image files are not provided with portrait sessions, but are available for purchase for each portrait session on a per session basis. Q. When should I book my wedding photography/video coverage? A. We take all wedding bookings first-come first-serve. Once you have decided you would like to book us for your wedding, go ahead and contact us to get a contract ready and make arrangements for the retainer fee payment, both of these must be completed to secure your date. It is recommended you do this as early as possible to make sure your date is available, and you will lock in the current pricing as well, even if later our prices increase before your wedding. There is no limit to how far in advance you can book, we’ve booked weddings up to several years in advance. Q. Do I need to give you a list of photos that I want? A. We have been photographing weddings for over 12 years, and have a good sense of what are the important shots to get. For this reason, it’s not necessary for you to give us a real detailed list of shots. However, if you have some specific photos that you know you would like, feel free to let us know what they are. Be aware, if there is a photo that you have seen you would like re-created, the circumstances of your wedding may make getting a duplicate of another photo not feasible. Also, trying to get a pre-conceived photo may detract from the creative process of making original and truly spontaneous images of your wedding. Aside from that, we do need to make sure we have the important photos of your family. It is up to you who you want family photos of. We will primarily make the effort to get your immediate family, including parents, grandparents and siblings. Outside of that, if there are other family members you want photos with, you’ll need to make sure we know who they are, and it is best to coordinate with those people so that they know where they are expected to be for those photos. We can discuss these arrangements with you a week or more before the wedding. Q. How much time will we need on my wedding day to get the photos I want? A. Having enough time available to get nice photos is the most important aspect of getting beautiful, relaxed images. Many of the memorable images may be of the pre-ceremony getting ready period. Classic images of the wedding dress and other details can be gotten then, along with emotional images of the bride, groom and family as they are getting ready for the big day. For these images to happen naturally, it is important that nobody is rushed or in a hurry. 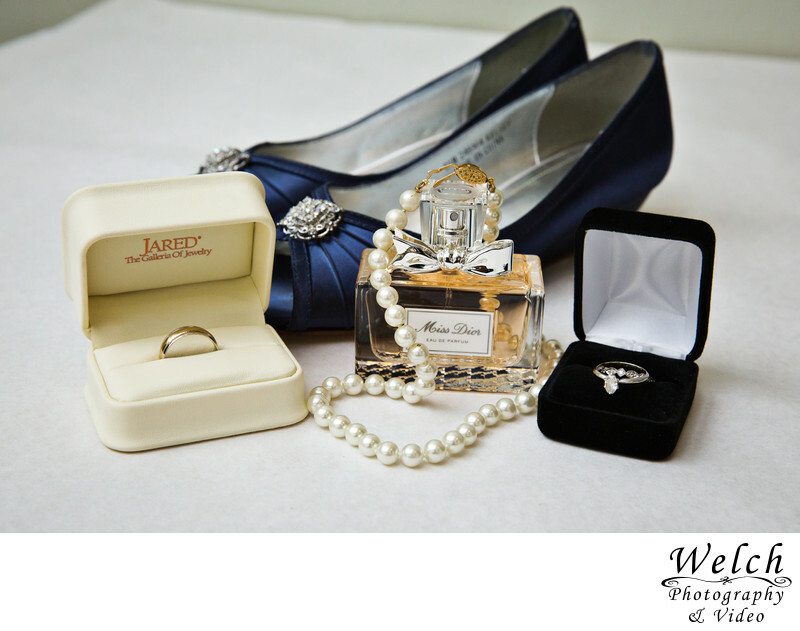 Allowing enough time to get ready is the key for this, which includes everyone in the wedding, not just the bride and groom. We usually find that a couple of hours of photography before the wedding is typically a good amount of time to nice images of these activities. If you are interested in doing a ‘First Look’ session and taking more posed photos before the ceremony, then more time may be helpful. We also need to include time to travel between locations within the booked time. We don’t charge additional for multiple locations, but we do include time to travel between locations within the time booked for photography/video services. After the ceremony, if we still have to take family portraits, it typically only takes about 15-20 minutes to do the typical family and bridal party photos. Depending on the opportunities the location provides, it may be a good option to spend a little extra time to get a little more variety of photos with the bride and groom together at this time. About 5-10 extra minutes will normally suffice, though more time can give more variety if the location allows for different scenery to work with. Most receptions are 3 or 4 hours. If you want photos until the end of the reception, be sure to book enough time for that. If you are planning an exit at the end of the reception, with bubbles or sparklers, be sure that is arranged before the time the reception is to end. We can allow for an extra 5 minutes or so to get everything arranged for this, but only if it is underway by the end of the booked time. Q. Should I get the RAW footage of my wedding video? A. We do offer the RAW footage on additional DVD discs for $150. It takes us about a day of computer work to burn all three video cameras footage onto the discs. We normally have 2-3 video cameras filming the same thing, much of the RAW footage is of the same subject from different angles, therefore much of the RAW video repeats itself in this way. However, there will likely be very little good video on the RAW footage that isn’t on the final edited DVD that you will get. We certainly try to include all the good video that we think you (the bride & groom, specifically) might want to see and remember. If there were something significant missing, then likely we didn’t film it or the video came out poor (bad angle, we couldn’t get a good view of it happening, etc.). Also, we do focus a lot on the bride and groom, and those people whom they are interacting with primarily, then the bridal party and family secondarily. If the bride and groom are doing something, we may not be available to film other people who are doing something elsewhere at the same time. Furthermore, if something happens suddenly, and for a brief amount of time, while we weren’t already filming then we may not have been able catch it either. For these reasons, there may not be footage of something happening at a particular point. Of course, anytime there is something fun and interesting happening, we try our best to get it, so generally we do tend to get the vast majority of what may be of interest. Therefore, there may be footage that just wasn’t from a good position or angle, or otherwise which we didn’t deem to be acceptable. If for this reason, you want to see all the RAW footage, then we can burn it to DVDs for you at the $150 fee. However, we don’t guarantee that such video is up to an particular standards, nor do we guarantee that there is any particular video on the RAW footage that wasn’t included in the final edited DVD/Blu-Ray video. Q. Do you offer different options than those listed in the price list to customize a package for us? A. Yes, we can customize a package to fit your needs exactly. If any of our listed packages don’t include exactly what you want, let us know and we will quote one for you with the specifics you need. Q. Are there any discounts available for your wedding packages? Can you work with our budget? A. While we may have certain specials available at various times, such as possibly during a bridal show, we try to keep our standard pricing in a range that is already affordable and at a high value for the money spent. We fully understand the importance of budgeting. Of course, wedding photos and video are the only thing you’ll have to remember your special day with. Having been in the business of creating exceptional wedding photos for over 15 years, we have found what the minimum price range is we can charge and still provide the type of quality of photos and service that such a special event as your wedding deserves. In looking at our competitors who charge significantly less, we can confirm that the drop in quality of work and level of experience is significant when the price is even moderately less, in our expert opinion. There is simply a minimum in cost to do a good job, and we have sought to keep our prices as close to that cost as we can without causing us to cut any serious corners on our ability to provide you with the utmost in quality and convenience. For this reason, if you find we are strongly outside your budget, we highly recommend you look at your priorities, and evaluate whether having professional photography and/or video is truly worthwhile to you. If you are satisfied with another offer that is much lower than what we provide, or one that includes significantly more than what we do for the same price, then we hope you find the exception to the limitations in quality in your wedding memories and experience and have much good fortune in working with that photographer. If you have someone’s offer of services that you would like to discuss with us, feel free to contact us with it and we will be glad to go over the potential differences in what is being offered that may not be immediately apparent. We are always glad to review a competitive offer and show you how what we can provide may be worth considering for you instead. That said, we are very confident that our pricing is highly competitive, and our quality speaks for itself. Your enthusiastic satisfaction is our first priority. For more information, please feel free to call Robert at (985)845-8405 or use the contact form to email any further questions.